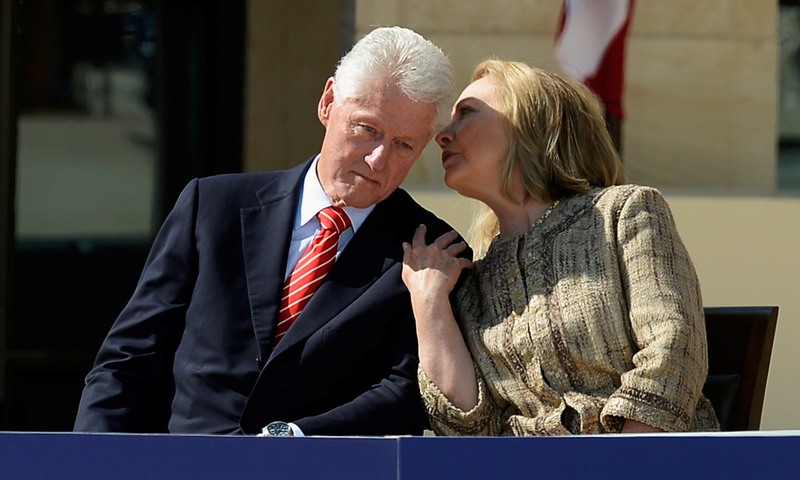 Estate tax champions Bill and Hillary Clinton are doing just about everything in their power to stave off hefty estate taxes on their own personal fortune, according to Bloomberg News. The report out Tuesday shows that the two heads of the political dynasty have been seizing on legal but slippery loopholes to minimize taxes on inherited wealth - maneuvers not atypical of multimillionaires but which will inevitably drum up cries of hypocrisy based on the Clintons' active support for the estate tax in the past. Bloomberg cites county property records that show the Clintons divided ownership of their New York home into separate 50 percent shares, then placed those shares into trusts. The moves ensure that any growth in the house's value will occur outside their estate and that they can claim a discounted value for the home, which could save the Clintons hundreds of thousands in estate tax avoidance. "The goal is really be thoughtful and try to build up the nontaxable estate, and that's really what this is," David Scott Sloan, a partner at Holland & Knight LLP in Boston, explained to Bloomberg. "You're creating things that are going to be on the nontaxable side of the balance sheet when they die." Bill Clinton supported the estate tax during his eight-year tenure in the Oval Office; Hillary Clinton during her 2008 White House bid advocated making the wealthiest Americans pay more estate tax by capping the per-person exemption at $3.5 million and setting the top rate at 45 percent. Without the estate tax, she said during a 2007 appearance with billionaire Warren Buffet, the United States could devolve into a nation that's "dominated by inherited wealth." As the early frontrunner for the 2016 Democratic presidential nomination, Hillary Clinton stands to hurt the most from the newfound disconnect. In 2012, similar criticisms dogged Republican nominee Mitt Romney after reports surfaced suggesting his fortune was housed in offshore bank accounts in Bermuda, the Cayman Islands and Switzerland. The Bloomberg report also happens to come on the heels of another wealth-related headache for the former secretary of state. Accidentally casting herself as out-of-touch with the real struggles of working- and middle-class Americans, Hillary Clinton said during a recent interview that she and her husband were "dead broke" after he vacated the presidency in 2001. Republicans had a field day with the quote, trumpeting her notoriously high speaking fees, multimillion dollar book advances and her family's multiple homes.